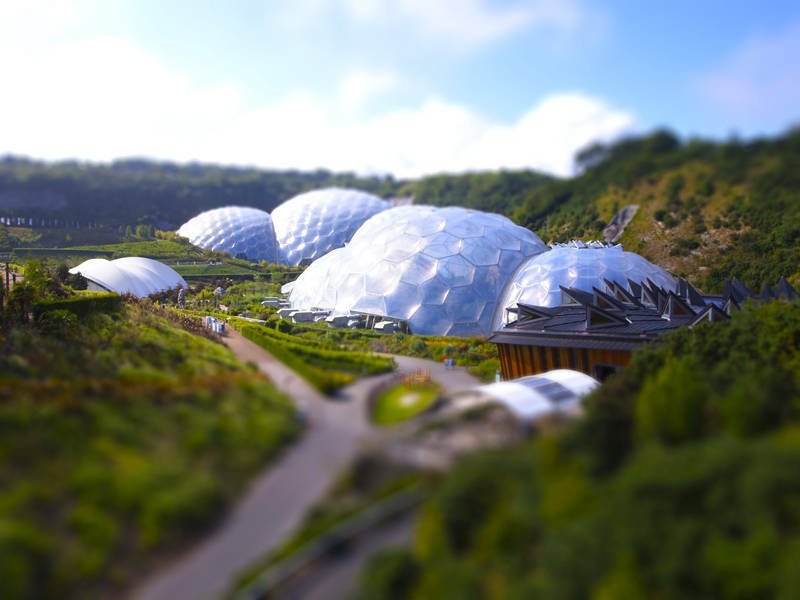 This is the Eden Project in Cornwall, UK. The Image is an example of how you can simulate Tilt-shift photography in order to create the look of a miniature scene. Essentially you create a narrow band of focus to mimic the effect of angling the sensor/film. You can use this site to automatically make your own tilt shift images. It seems to work best with wide angle shots when you are looking down on a scene with variety of foreground and background. The Sandpit is a great example of a tilt-shift video in which they have speeded up the playback to add to the miniature effect. Wonderful tiltshift work here, you have really made this look like a miniature!